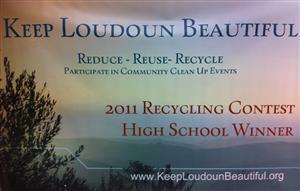 The Wolverine Green Team promotes conservation of resources and encourages recycling within the school and community. We meet weekly to collect recyclables around the building and dispose of them properly. We educate our peers about the importance of renreable resources. In addition, we coordinate with other student groups and community organizations and businesses to model good stewardship of natural resources.